It was a total surprise to me, but the From World War to Star Wars artwork was featured on the back of the R2 Builders Club Yearbook at Star Wars Celebration VI. 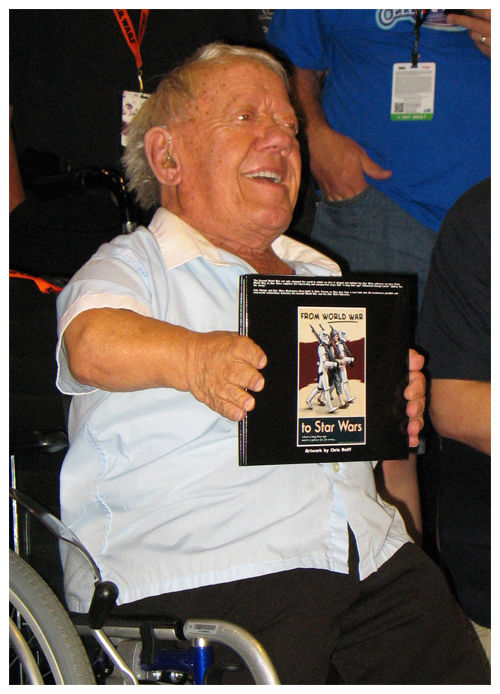 When one of those yearbooks was presented to Kenny Baker (the actor who brought R2-D2 to life) on his birthday, he held up the book - inadvertently placing our artwork right in the firing line of every camera in that autograph hall. Accident or not, I consider it my first celebrity endorsement!